SEIS / EIS: When it pays to be Ordinary! I know it’s not cool to aim for being ‘ordinary’ and its not a label that you’ll want attached to your business but when it comes to your SEIS / EIS shares this is exactly the label you want – ordinary shares. SEIS / EIS shares must be ordinary non-redeemable shares and carry no preferential … Read moreSEIS / EIS: When it pays to be Ordinary! GF010 – What trades qualify for SEIS / EIS + potential problems for software (saas) companies! In this episode of the Get Funded! 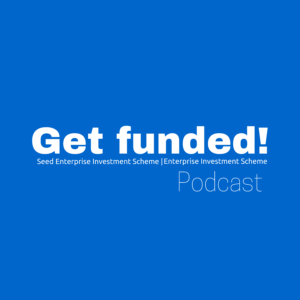 podcast we cover the types of trades that qualify for funding under the Seed Enterprise Investment Scheme (SEIS) and the Enterprise Investment Scheme (EIS). We discuss the HMRC excluded activities list that you need to check to confirm that your proposed trade is not listed i.e. excluded. If not, then you should be okay. There is a relaxation for these excluded activities to be included within your trade although it must not amount to a ‘substantial’ proportion of your overall trade. ‘Substantial’ for these purposes is deemed to amount to no more than 20%. The HMRC advance assurance procedure would be key in these circumstances. We pay particular attention to the potential problem for software companies (particularly software-as-a-service (Saas) based companies) given that the receipt of royalties or licence fee income IS an excluded activity. There is a carve-out from this exclusion for companies that create the whole or greater part of the underlying asset that generates the licence or royalty fee income – most software companies rely on this exemption to qualify for SEIS / EIS – but there are some further traps for the unwary…. GF001 Get Funded! 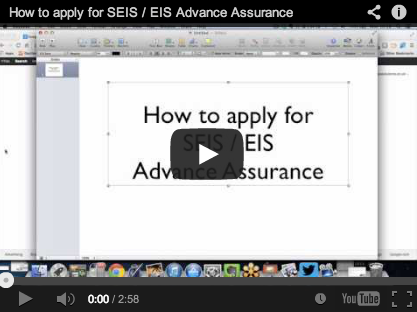 – What is SEIS? 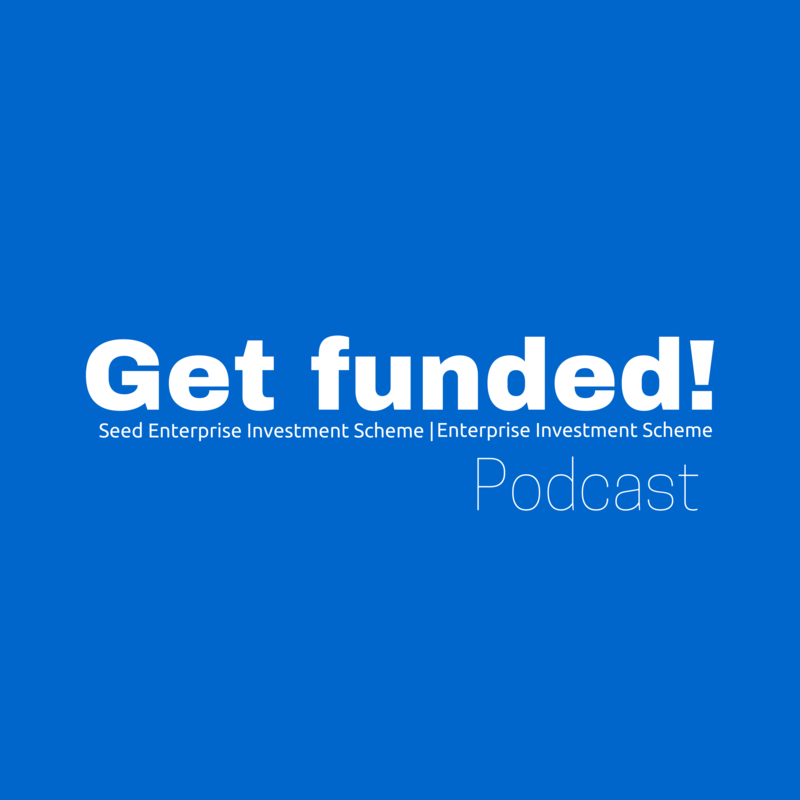 A podcast that aims to share practical information and tips on the workings of the Seed Enterprise Investment Scheme (SEIS) and the Enterprise Investment Scheme (EIS) with entrepreneurs, CEOs and founders. I am afraid that there is little in terms of bells and whistles in terms of the podcast production at this stage (maybe that’ll come later ;) ), as we are more concerned with getting the information and tips out there as quickly as possible and exploring whether this might be a more digestable medium than text…. Let us know your comments and thoughts. which companies is SEIS aimed at? This first podcast is really just an initial primer – we will aim to keep them as short and as easy to digest as possible. It is never easy to summarise the ‘ins’ and ‘outs’ of the Enterprise Investment Scheme (EIS) but we’ve done our best with this EIS in a nutshell ‘one pager’. Can I raise funding under both the Seed Enterprise Investment Scheme (SEIS) and the Enterprise Investment Scheme (EIS)? The quick answer is YES – you can raise funding under both SEIS and EIS but there are some important points to watch including: If you wish to raise cash under both schemes, you must issue shares under SEIS before EIS. You can’t raise money and issue shares under EIS and then seek to raise … Read moreCan I raise funding under both the Seed Enterprise Investment Scheme (SEIS) and the Enterprise Investment Scheme (EIS)? 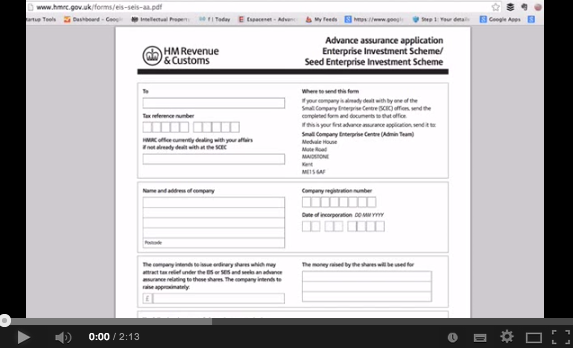 What is the Seed Enterprise Investment Scheme (SEIS) Advance Assurance? I am getting a lot of questions at the moment about the process for raising funding under Seed EIS and where the advance assurance fits in? The Advance Assurance is a mechanism that allows companies to pre-qualify themselves with HM Revenue & Customs (HMRC) as a qualifying company for the purposes of raising funding under … Read moreWhat is the Seed Enterprise Investment Scheme (SEIS) Advance Assurance?